One of my favourite things about Hamburg (besides it’s fiery community spirit, unique culture and diverse creativity) is it’s BEACH BARS! There’s nothing quite as relaxing as reclining in a deck chair, sand between your toes and cold beer (or cocktail!) in hand. And luckily for you dear reader, you can find such tropical-esque escapes all over Hamburg. 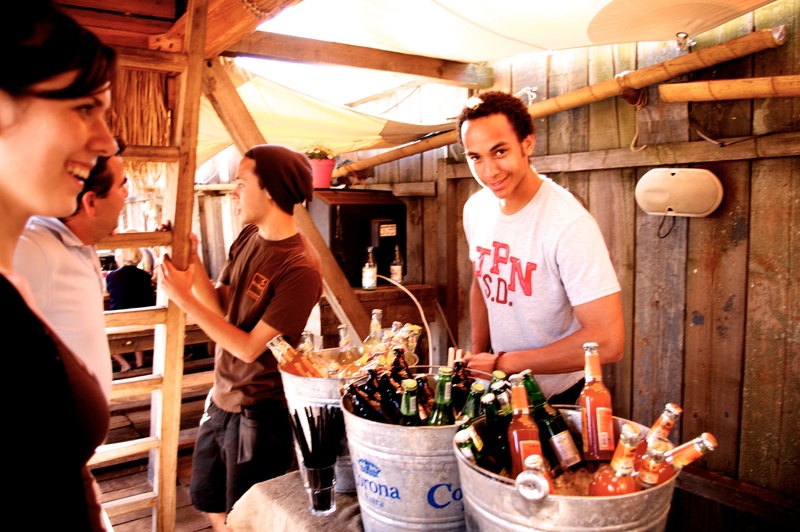 Over the course of Spring and Summer we will be bringing you a series of articles covering our favourite beach bars. And first on our list? …Strand Pauli! As soon as you walk through the entrance of Strand Pauli you begin to fall in love with the place. Incredible views of the River Elbe, couches and deck chairs scattered around so you can soak up the sun’s rays and watch the passing ships. As the sun sets, a romantic atmosphere falls across venue; If you dig your toes into the sand you can still find the hints of warmth from the day’s sunshine, and overhead strings of little lanterns light up to illuminate the paradise that is StrandPauli. They also offer a great menu of delicious food and drinks (we recommend the quiche! ), and on Sundays there is a breakfast buffet from 10am. We highly recommend you arrive early to find the perfect place to perch in the sunshine, as it can get quite busy when the weather smiles! Strand Pauli is open from 11am – 11pm everyday (Midnight on Friday and Saturdays). You can find StrandPauli on the harbour front at Hafenstraße 89, 20359 Hamburg. Tucked away in a little Sternchanze parking lot sits the Mobile Blues Club. An old wooden truck wagon set back among the trees and rainbow fairy lights. A hand-made iron archway on the street declares ‘bar’, but at first one might be dubious as to what the wagon at the end of the dirt track actually contains. At first I thought it was a private campervan, the motley collection of people milling outside part of some eclectic looking private party that I desperately wanted to be a part of. Fear not though readers, this incredible venue is open to the public, and the lovely staff at the Mobile Blues Club will welcome you with open arms. When you step inside the ‘front door’ of the wagon you are instantly embraced into the most intimate and alluring music venue I have been to in a long, long time. The soft candlelight dances across walls the colour of red wine. Heavy velvet curtains frame the performer on stage. Everyone sits close together on chairs or on the floor as live music rattles the bones of the wagon and unifies the small crowd in a bohemian romance. The Mobile Blues Bar is a truly magical musical experience. The venue can fit around 20 people comfortably. The music is first-class, spanning genres from Folk and Blues to Punk Country. The drinks are cheap. AND the entire production is run on donations, a felt hat is passed around for you to offer what you can for the performance. For a special night out with a bit of an alternative twist, we definitely recommend a trip to the Mobile Blues Club. The wagon is open Weds-Sun and live music usually starts around 9.30pm. Check Mobile Blues Club for full details and listings. You can find the wagon in the parking lot on the corner of Schulterblatt and Max-Brauer-Allee (next to Central Park). Central Park Opens This Thursday! 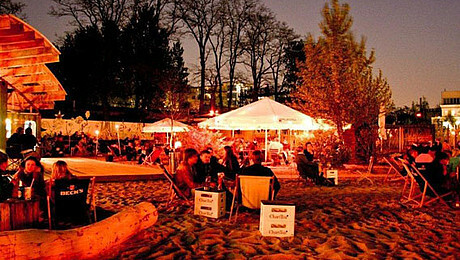 Central Park, one of Hamburg’s most beloved beach bars tucked away in the Sternchanze district, opens it’s doors for the summer this Thursday! A must see while in Hamburg; whether it’s reclining on a hammock in the sunshine sipping on a delicious cocktail from the Von Eden Kochbar, or sharing a beer with friends around an open fire in the evening, we are sure you will find the beach of Central Park the perfect oasis to escape the hustle and bustle of the city. Central Park is a short walk from Sternchanze S-Bahn station and is open from 10am (when the sun is shining) until 11pm (12pm on Saturdays) from Thursday the 17th of April. If you’ve been wandering around Hamburg lately you may have noticed the trees flourishing with new life. Wee baby leaves are sprouting from the tips of stark winter branches as various hues of green begin to soften the urban landscape of Hamburg. The days are getting longer, the parks are filling with people… Spring has arrived! In the leafy residential area of St Pauli where I live, and all across the city, you will see gaily coloured eggshell ornaments tied to shrubs and bushes with ribbon reminding us that Easter is just around the corner! If you find yourself in Hamburg this Easter weekend there are many events on to keep you occupied, most exciting of which is the traditional Osterfeuer (Easter Fire)! On Saturday the 19th of April, Hamburg will alight with celebratory bonfires. Originally a pagan tradition to celebrate the coming of spring and demise of winter, the Osterfeuer was later continued by Christians. Luckily for you, religious or not, this means massive Easter Saturday bonfires all across the city! 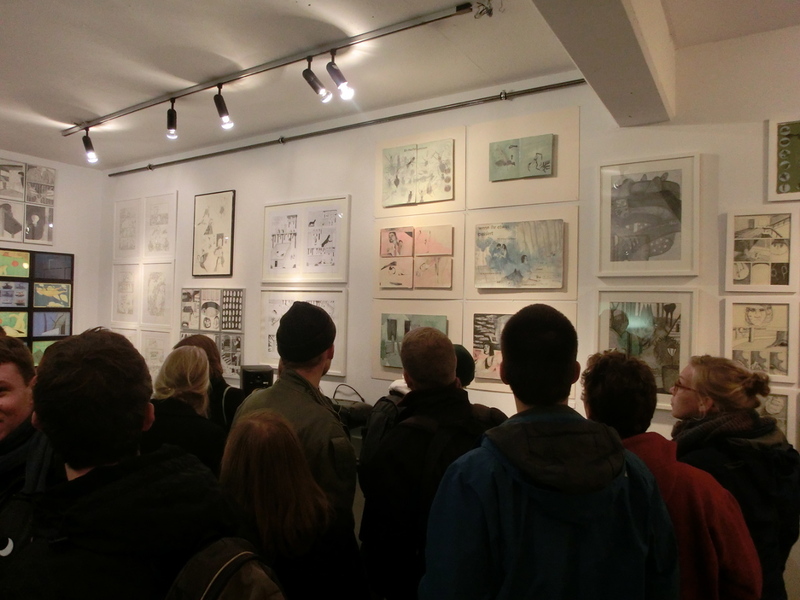 There are numerous Osterfeuer organised across Hamburg, you can find full listings of events over at Ganz-Hamburg. Many of the bonfires have live music, drinks and food vendors. My hot tip is to head to Blankenese for a beachfront bonfire… Ah spring time in Hamburg. The Easter weekend also marks the end of the springtime DOM carnival. If you haven’t already got stuck into some fire roasted Bratwurst, sipped a cold beer while enjoying 360 degree views of the city in the SkyBar or tried your hand at shooting ducks in hope of winning an oversized plush elephant… Then get yourself down to DOM this weekend before it all wraps up. It will be closed for Good Friday, but otherwise open until Easter Monday. The Free and Hanseatic City of Hamburg is an incredibly unique place. Whether your’e a resident or a visitor, I’m sure you will agree that there is something very special about this town; a thriving energy that cannot be explained, only experienced. Delve inside the heart of Hamburg, and you will find that it is the exceptionally friendly and open-minded people that fuel the invincible flame of the city. As well as the people though, it is also the fascinating and diverse places that stir this spirited fire. Everyone has their favourite little hideout in Hamburg, perhaps you enjoy watching the ships stirring up the harbour as the sun sets, or maybe you like to find recluse under a shady tree in Planten Un Blomen. Whether it’s the local beachfront fish and chip shop, a quaint coffee shop tucked away from the hustle and bustle or a dingy music club that serves cheap beer and plays your favourite bands, we are here to help you find your favourite Hamburg hideouts and hangouts. We will also be bringing you the latest Hamburg events and telling you what’s on so you never miss a thing in a Hamburg! Whether it be local festivals, flea markets, live music, community demonstrations, parties, workshops or theater… you will find it all here at Hamburg Live. So tune in and sit back and relax as we do all the leg work, finding you the coolest places and events in town!